Thanks to Louisville advancing to the Final Four last season the Big East has had a presence during the final weekend six of the last seven seasons, you can probably go on and pencil them in for seven out of eight, Louisville fans and the media seem to think that the Cardinals will be there. Realignment will begin to take its toll on the Big East as West Virginia is gone and Pittsburgh, Syracuse and Notre Dame to follow in the years to come. Jim Calhoun has retired from his post at UConn leading the way for Kevin Ollie to take over. Steve Lavin is set to return to the sidelines after taking last season off due to prostate cancer. 1. Louisville – hard not to buy into the national hype. 3 starters return for Coach Pitino, as Peyton Siva guides the offense in his Senior season with help from Chane Behanan and Gorgui Dieng, and don’t forget about Russ Smith (11.5 ppg, 2.2 steals in 21 mpg). The problem could be injuries, it seems every year the Cardinals have more players in the training room than the bench early in the year, and have already lost Mike Marra who torn his ACL for the 2nd time in as many years. 2. Notre Dame – for the past two years the Irish have exceeded expectationsso maybe I am a little too high on the Irish. However with all of the starters back for Coach Brey it’s hard not to like the Irish especially when in the friendly confines of Purcell Pavilion where they went 16-1 last season. 3. Cincinnati – Mick Cronin seems to have the Bearcats back on the national radar. Yancy Gates is gone but Cronin has Sean Kilpatrick who led the Big East with 92 3-pointers. Cashmere Wright also returns after averaging 10.9 ppg. 4. Pittsburgh – Sure Pitt missed the NCAA Tournament last year, they ended the year poorly but capped it off with a CBI Championship (a win is a win).Tray Woodall will lead the Panther’s who return five of their top seven scorers from last season. 5. Syrcasue – Scoop Jardine, Kris Joseph, Dion Waiters and Fab Melo have all departed but Syracuse has been so deep that they have players that return with experience. Brandon Triche will be ready to lead the Orange to what fans hope is a trip to Atlanta. Shabazz Napier – taking control for the new reign of the Huskies. Sean Kilpatrick – if teams don’t shut him down behind the arc the Bearcats may do better than expected. Gorgui Diend – let’s see a guy that can rebound, score and block shots, yeah I will give him a All Conference nod. Jack Cooley – after voted Most Improved last season, the Irish have high hopes for Cooley who average 12.3 points and 8.9 rebounds. Most Underrated Team – Cincinnati, Cronin has his team bonding. Most Overrated Team – Notre Dame, could the Irish just be riding a wave of recent success? Player of the Year – Peyton Siva, last years MOP at the Big East Championship should win if the Cardinals run the conference. 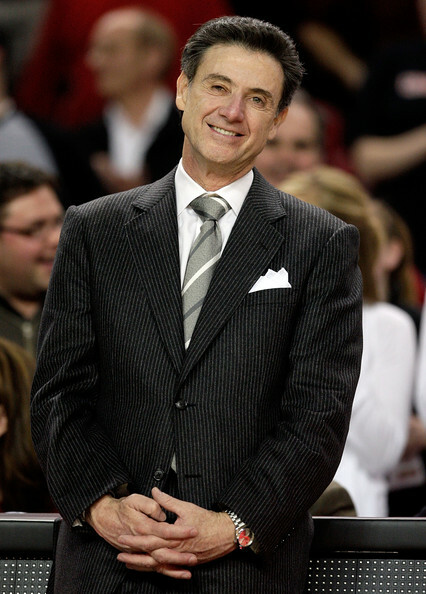 Coach of the Year – Heart wants to say Steve Lavin, but my mind says Rick Pitino with Cronin in 2nd. Sleeper Impact Player – 1a Cleveland Melvin, was the leading scorer in the league last season. I am going to say D’Andelo Harrison is 1b especially if Lavin has the Red Storm on upset mode.